Men Bicycles Shop in Dubai, UAE - Shop for Men's custom bicycles for city riding, built in Dubai, UAE. Up-cycled from Japanese vintage cycles, available in many looks and colors include baskets. Choose a basket for your Charicycle ride. You can choose one of the 3 options displayed below. Please inform us of your preference once placing the order to check availability. Wooden boxes are cool, but heavy. They work best if you are using your Charicycle for display purposes only. Metal baskets are durable. They are easily customizable; can be painted any color chosen. Wicker baskets complement a Charicycle well. 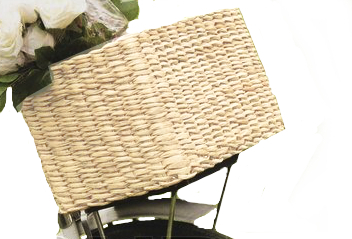 The basket available may differ slightly from the image above.